Letters with circles on paper with lines, letters with slants all improve over time. Schools have access to a variety of techniques, tips and tricks when it comes to improving the handwriting of their pupils. There’s no doubt though that the vital starting point is being able to clearly demonstrate best practice. The best place to start is by seeing real results in your classroom – to support this, one of our visualiser specialists would be delighted to come along to support your lessons! Just give us a call on 0843 886 6228, or click here to contact us online. 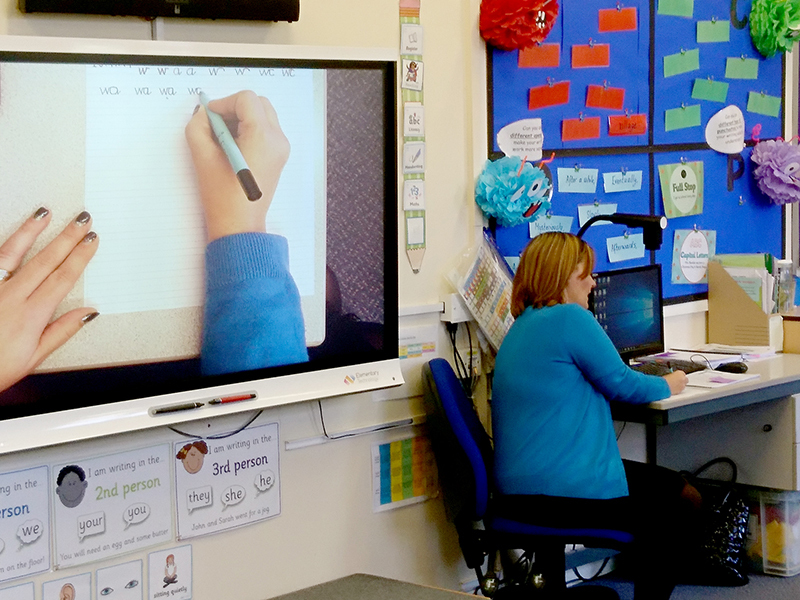 If you’re not quite ready and would like a little more information, download our Guide to Visualisers in the Classroom , or have a browse of the largest range of visualisers for schools on our specialist website, thevisualisershop.com .